It is free to one and all. 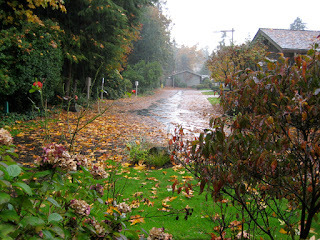 This entry was posted in Grandmother, Home on October 20, 2007 by Robin. Robin, that is absolutely priceless. Thank you so much for sharing your grandmother’s poem and her story through the link. I was very touched. It’s been a bit of a hard weekend for me as we placed my mom (her decision and mine) into assisted living. I needed something like this. Thanks so much! Thanks, Kay. I’m glad it brought some solace on a difficult weekend. That’s a tough decision to have to come to for both of you, but I’m glad your Mom was able to be part of the decision-making. That will help make the transition and adjustment smoother (for both of you). I wish you both well. Beautiful poetry and beautiful how bloggin’ can help heal from afar. Beautiful poem and beautiful poems. Last week we also had the most perfect autumn days around here. I just love this time of the year. Thanks for sharing the poem! I love hearing from grandmothers, even if they’re not my own, and that poem is beautifully written. The picture almost reminds me of work from Thomas Kincaid; it’s lovely. Don’t you just love Autumn? Aren’t you just so happy 80 degree weather is over?! I love that poem, Robin. I went to the link and that’s such a nice story. My mother grew up on a farm with 9 siblings. I don’t know how those folks did it. And the beautiful pictures – are they at your house? Hi Nymeth. It’s my favorite time of year…although I love the spring, too, after the darkness of winter. Thanks, Bellezza. It’s lovely around here, so it’s easy to take pretty photos. And, yes, I’m very glad that the 80 degree temperature is gone! I don’t do well in the heat! Thanks, Nan. 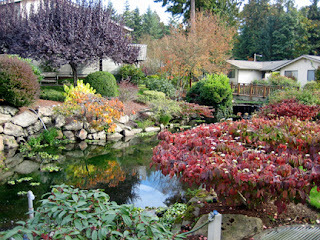 Yes, the photos are from our grounds. We live in a very small condo unit, in an older, small complex. Everyone that has moved here chose it because of the landscaping. It’s beautiful…and our unit also has greenbelt to the side and the back, so we think it’s particularly nice.